Join us on a VIRTUAL FIELD TRIP to a PIG FARM! 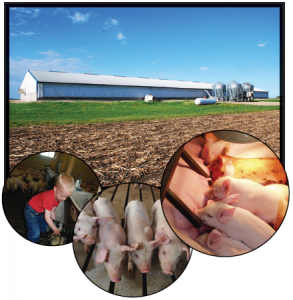 The Wisconsin Pork Association invites your classroom to participate in a FREE virtual field trip to a pig farm. This one-of- a-kind experience will help students learn more about pigs, pork, and life on the farm. Sign up for a LIVE video chat using Zoom video conferencing. All you need is an email account and computer or other audio & visual equipment connected to the internet. Questions? View our Field Trip FAQ’s or contact Mandy Masters at mmasters@wppa.org or 608-723-7551. To view a pre-recorded virtual field trip, click here. Enter your information into the form below and we’ll contact you to schedule a virtual farm tour. Please select from a currently scheduled field trip or be notified when future field trips are scheduled.